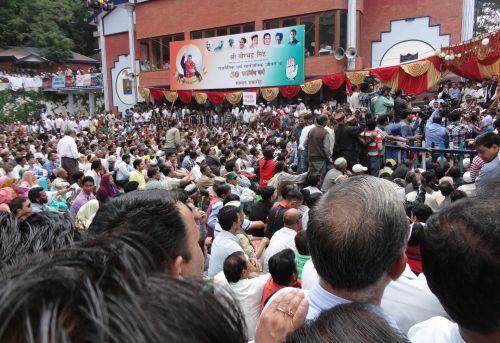 Virbhadra Singh’s facilitation ceremony at Shimla has silenced his critics within and outside Congress party. More than 15,000 supporters had turned up at the ice-skating rink to commemorate his 50 years in politics and also to wish him on his 77th B-Day. 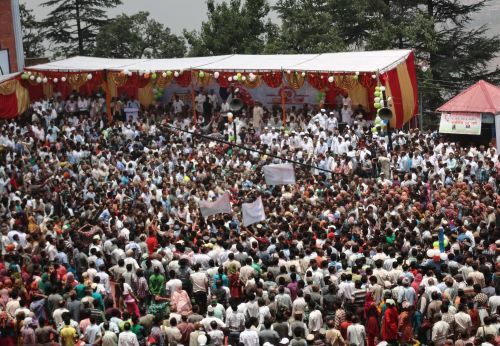 The massive gathering at the rally has left Virbhadra Singh and his supporters in an upbeat mood. 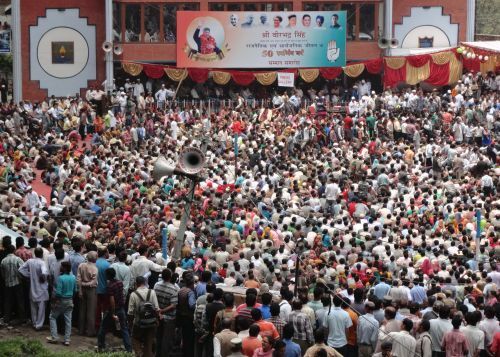 The presence of 21 sitting MLAs and ex MLAs, including once arch rival within the congress CLP leader Vidya Stokes, has boosted Virbhadra’s position in the state Congress. 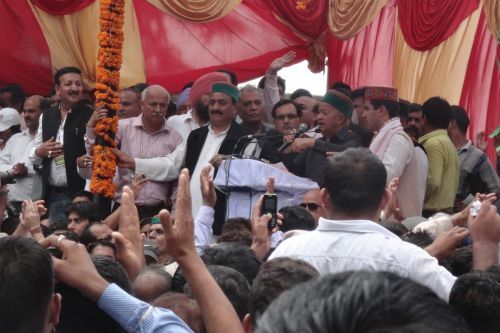 While addressing the supporters, who thronged the place from over the state, Virbhadra Singh thanked them for their undying love and support they had showered all through his political career that stretched over a good 50 years. He said that he is in debt and can’t return the favour even if he reincarnates as a minister again. 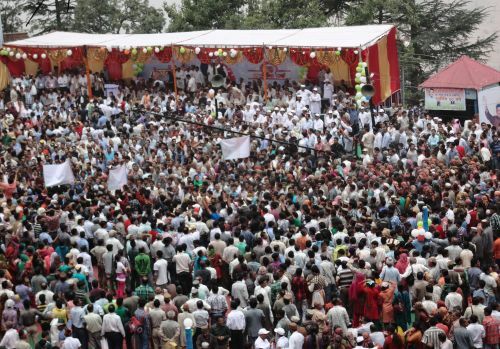 Virbhadra Singh criticized Dhumal Govt for not allowing the gathering at the historic Ridge ground, which is bigger than the Ice Skating Rink that proved to be a bit too small to accommodate all the supporters. 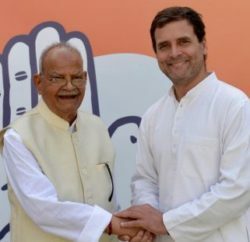 He turned sarcastic and pointed fingers towards the partiality shown by the Dhumal government that his allowed BJP to hold a ceremony at the Ridge ground, but denied a gathering when it came to facilitating him at the ridge. 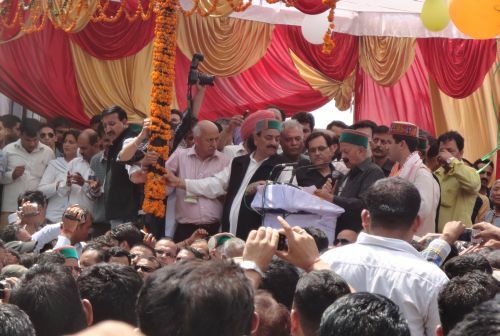 Criticizing the BJP Government’s working further, Virbhadra Singh termed it anti-Himachal. 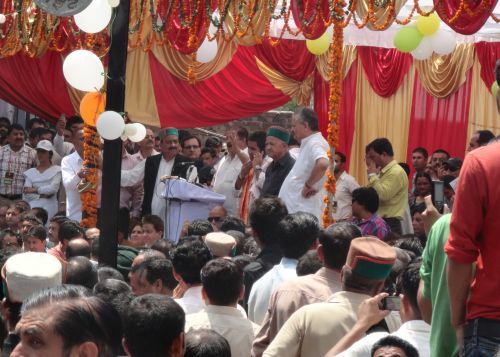 Shedding concern for the employees, Virbhadra Singh said that employees make the state and the present government had been giving them a doormat treatment. 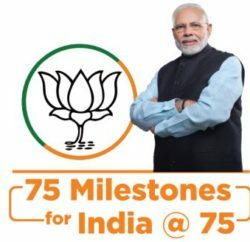 He said that BJP has not given employee their share and allotted lollipops to them in this tenure. 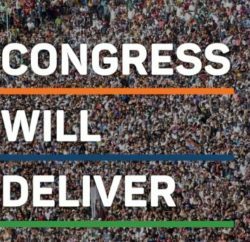 He further promised that if his government came into power he would end all woes faced by employees and give them all the dues that they deserve. 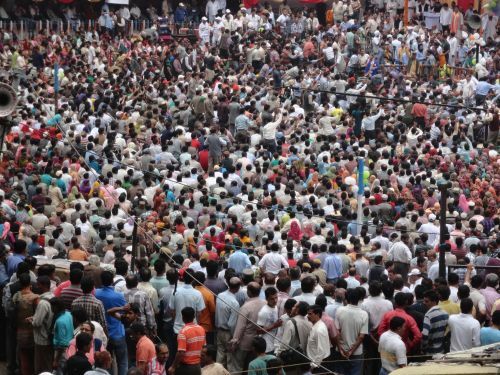 The BJP government was also blamed for misusing its power as they have been after congress workers and harassing them without any valid reason. 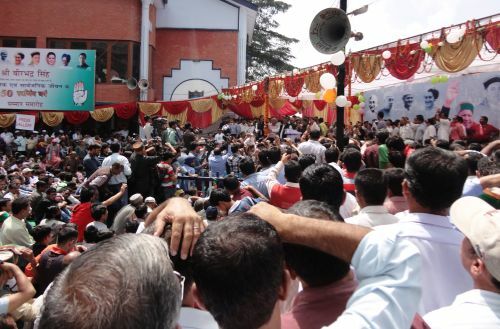 He expressed his feelings for the BJP Government and felt that people of Himachal will pull back all the power from the ruling part and throw them out in as less as 90 days while reiterating their inefficiencies. 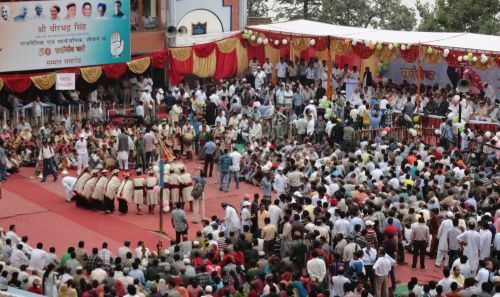 He offered his sincere apologies to CLP leader Vidya Stokes on the behalf of his supporters as they forget to follow the protocol. He said that Vidya Stokes is the senior most leader in the Himachal Pradesh cabinet and thanked her to have become a part of the occasion. 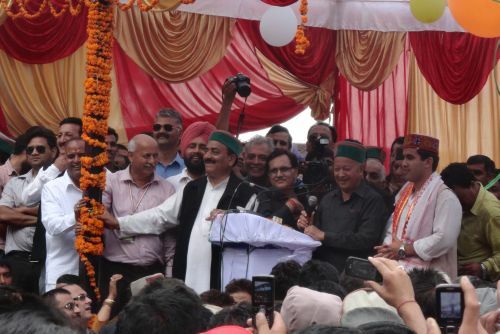 In this rally Virbhadra Singh clearly won over other rival like Kaul Singh Thakur, who was also dreaming of becoming Chief Minister of the state. 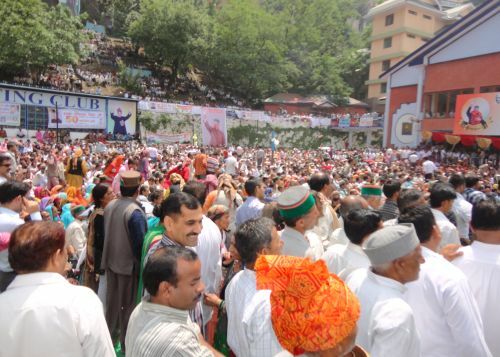 As Himachal Pradesh is going for polls this year, Congress is witnessing a war of supremacy as there are many who are running the race for the Chief Minister’s post and such unprecedented support from common people and Congress leaders made Virbhadra Singh step ahead of everyone in the race. He was praised by many veterans for his contribution over 50 years and the difference he made towards the state. 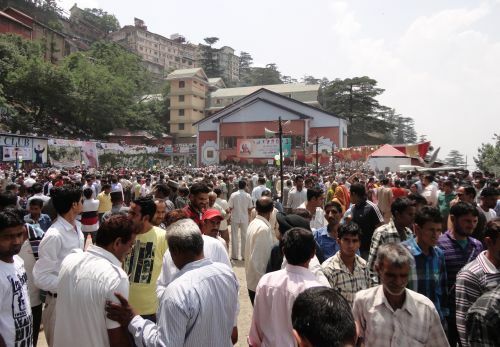 The event saw many artists from Kinnaur, Lahaul, Kangra, Sirmour present cultural programs, which kept everyone entertained. 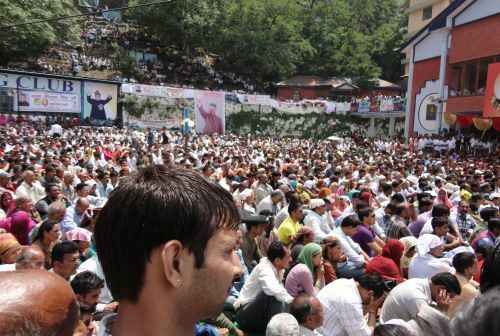 Big screens were installed on the ridge and mall road for people to enjoy the rally without any interruptions.